I copy an ISO image to USB Type-C but end up with playback error. After I hang around several forums I figure out burning to USB is different from copying the ISO. Any suggestion? It sounds easy to have your ISO files stored in your USB flash drive. Just copy the ISO images and you've done! Frankly, it's not that simple. Different from burning an ISO image to a new DVD disc, copying ISO image to USB type-C or other types of USB storage devices is much more difficult. MacX DVD Ripper Pro works like a charm to put ISO image to USB Type-C, USB 3.1/3.0, USB 3.0 Type A/B in MP4, MOV, AVI, MKV, FLV, M2TS, etc. at blazing fast speed without any quality loss. Thus you are able to play your favorite DVD movies on HDTV, Macbook, Chromebook, PS4 and other mobiles limitelessly. Why You Need to Burn ISO to USB Type-C? 1. USB Type-C transfers data at up to 10 Gbps, 10 times the Google Fiber connection per second. That means you can play ISO image quickly when you open it. 2. It's feasible to store your large ISO images into USB type-c, so that you can play the movies even away from home. 3. 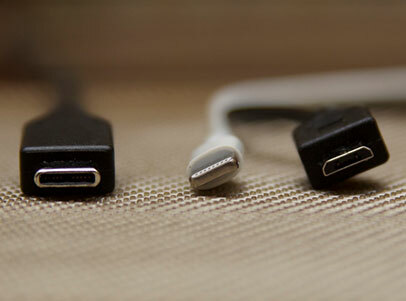 With Type-C cable, you won't need any video ports like HDMI. Transferring files between computer/TV and mobile becomes easier with a simple cable. 4. USB Type-C is also compatible with many platforms. New devices ship with this new connection standard so far include: Apple's latest MacBook, Google's Chromebook Pixel and Nokia's N1 tablet. Other manufacturers, like MSI, Asus, LaCie and SanDisk recently announced products that would support USB-C. To put it another way, after you copy DVD to hard drive like USB Type-C, you can enjoy movies on those USB-C supported devices, such as HDTVs, computers, laptops, PS4 or other gaming systems with ease. To put ISO on USB Type-C for storing in computer hard drive or playing on Apple TV, Macbook, Chromebook, etc without format issue, you need a reliable ISO converter. 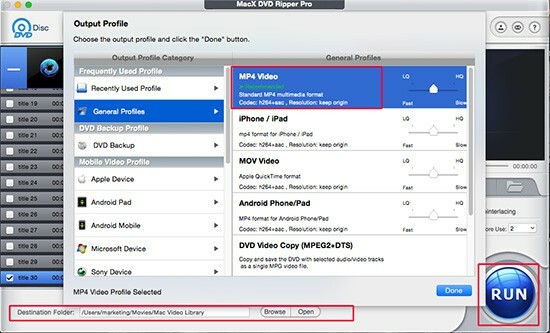 MacX DVD Ripper Pro has the ability to rip DVD, Video_TS folder and ISO image to a friendly format for USB drive, such as convert ISO to MP4, MKV, AVI, MOV, HEVC, FLV, etc with 36x real-time faster speed and 1:1 quality reserved. MacX has great video compression engine that enables to compress ISO file within a smaller size. Furthermore, this program can easily rip copy protected DVD of any encryptions (including Region Code, Disney X-project protection copy protection, CSS, Sony ARccOS etc). Step 1:Free download this USB ISO burner on Mac and run it. Click "DVD ISO" to import it on your Mac computer. Click DVD button if you want to rip DVD to USB Type-C. Step 2: Select an output video format. To put ISO on USB Type-C, MP4 is the most-recommended output format for its wide acceptance, good quality and relatively small file size. The latest iPhone XS, iPad Pro/mini, Galaxy, etc are also available to select without needing to know the complex settings. Step 3: Specify output destination to save the output files by clicking "Browse". If you have your USB-C inserted into your computer, then select that USB and store your converted ISO image in USB-C directly. Step 4: Hit "RUN" button to start the ISO to flash drive USB copy process. You can enjoy any hot DVD movies on your mobile devices as per the guide above. Guide you to convert ISO to AVI format with original quality untouched within four steps. You are free to play ISO images on Windows platform or other media player easily. Best MacX DVD Ripper Pro allows you to freely rip ISO image to USB Type-C or even portable devices. It will help you freely enjoy many newest movies at anytime and anywhere.